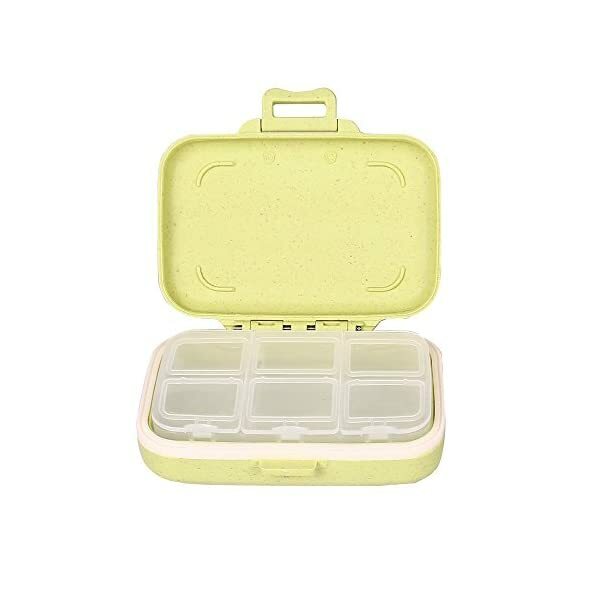 A classy pill box that features one large compartment that's perfect to hold your pills, or other staches. 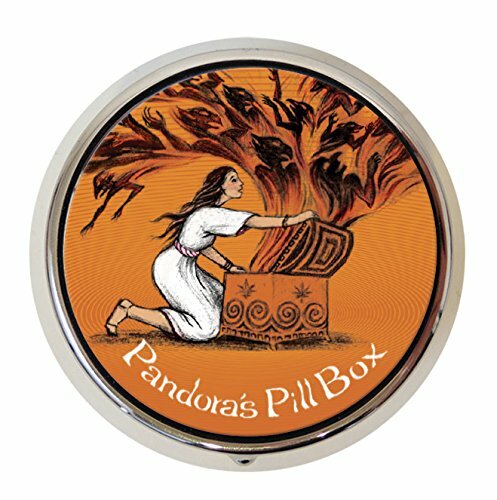 A fine chrome pillbox with a high-gloss image, and reliable clasp to keep your meds safely inside. The container is 3.3" long, and just over 1" wide. It fits perfectly in your pocket, or in a purse. It makes a great gift for the medicine loving person in your life. 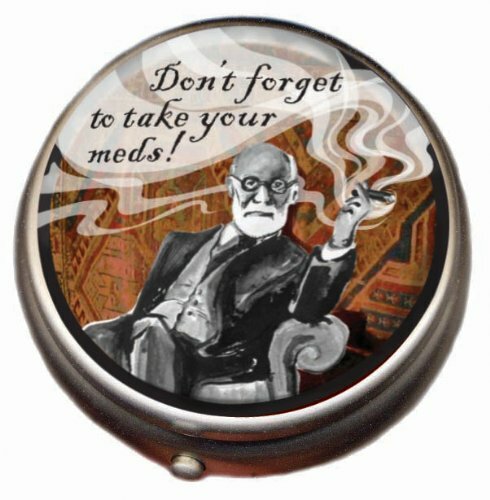 Features an image of Freud himself, along with a speech bubble reading, "Don't forget your meds." 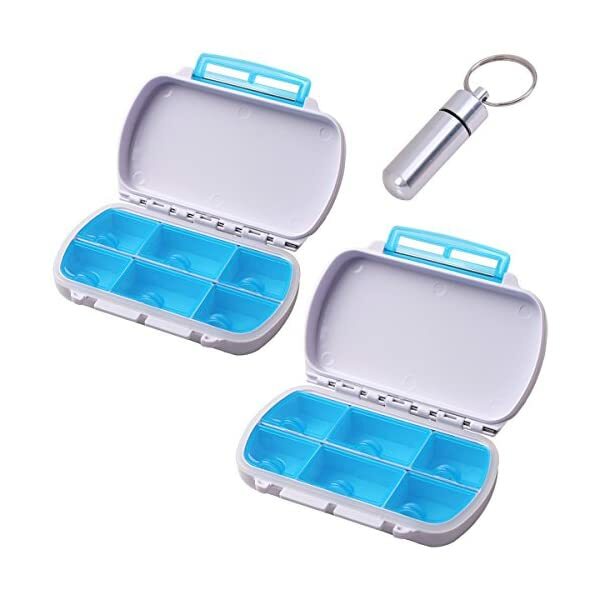 PERFECT FOR ON THE GO - This pill holder has 6 compartments, holds different types of pills for weekend trips or outdoor activities, instead of having to pack a bunch of pill bottles all the time, your meds or vitamins can be condensed into this package. 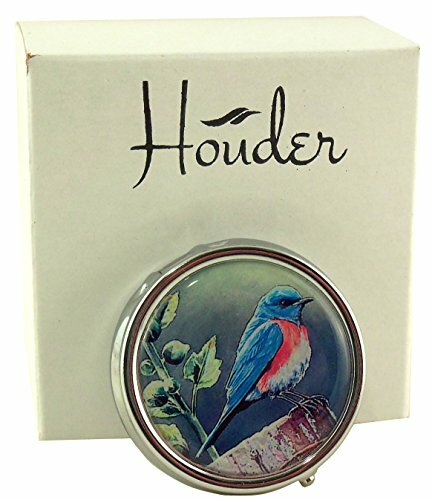 Decorative pill box by Houder. 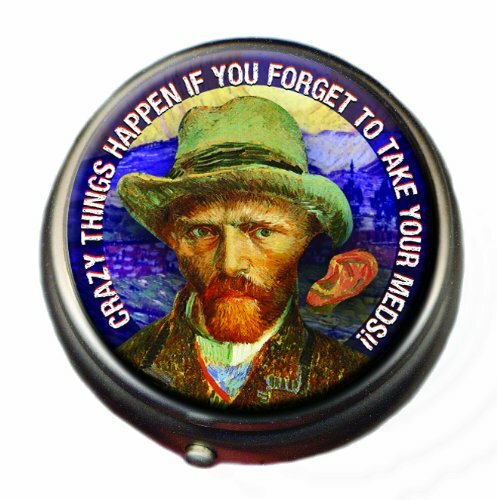 Carry your pills in style. 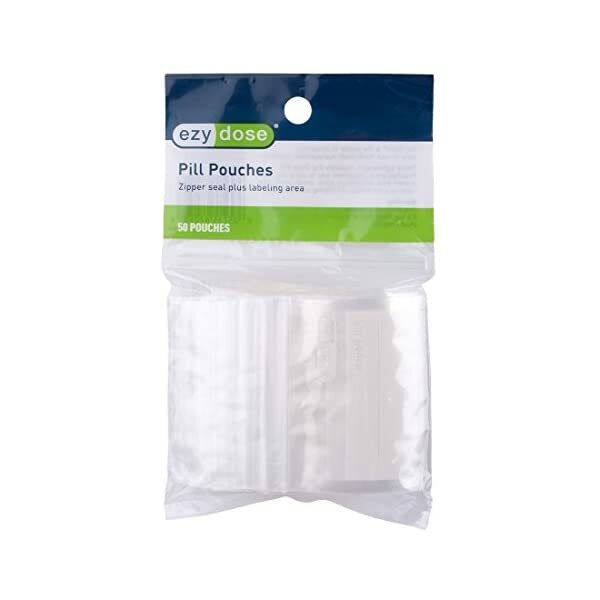 Internal divider keeps your pills organized.